Since my parents are here, we were talking about how we could remodel our home. 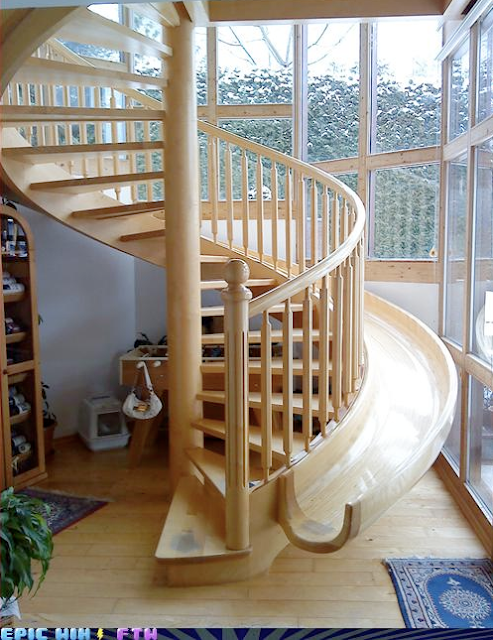 My mom suggested putting in spiral stairs. 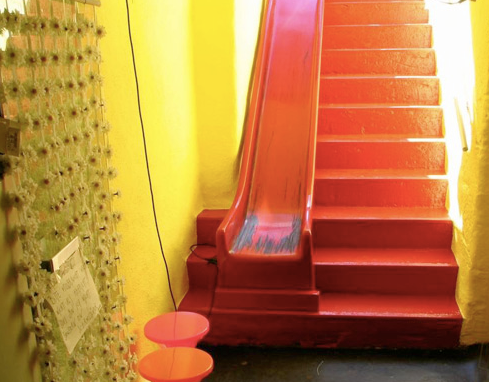 And if we did, I would totally want a slide to go along with it. I know Baby O would love it. Here's some other fun slides. Top image via, last 2 images I forget where I got them, but I know they are floating around the internet right now. Wow, those slides look really fun! What a great idea!